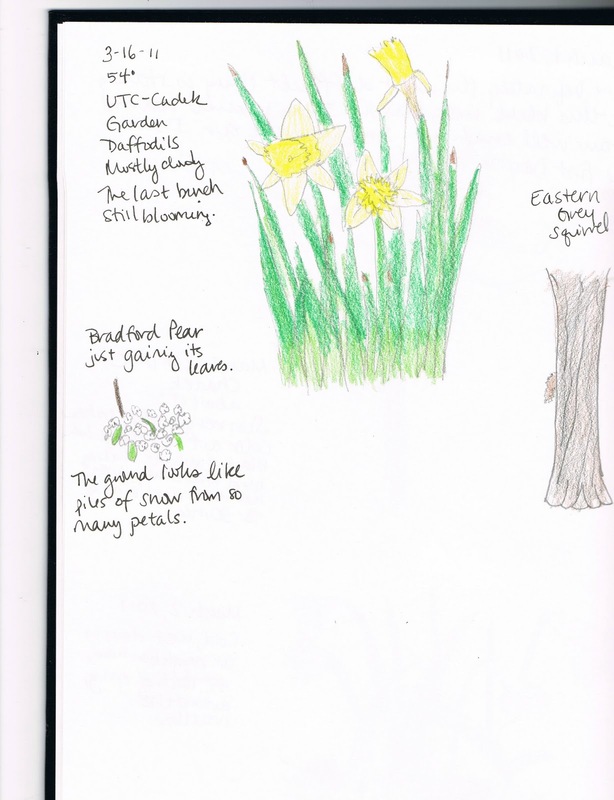 To see more entries at the Handbook of Nature Study, click here. I decided we would do our flower study at the local college while Kae-Kae was in a flute lesson. 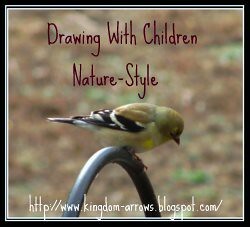 So, I packed up the pencils, the nature journals, the clipboards, the flute and music, and the four kids. Somehow I forgot the camera. 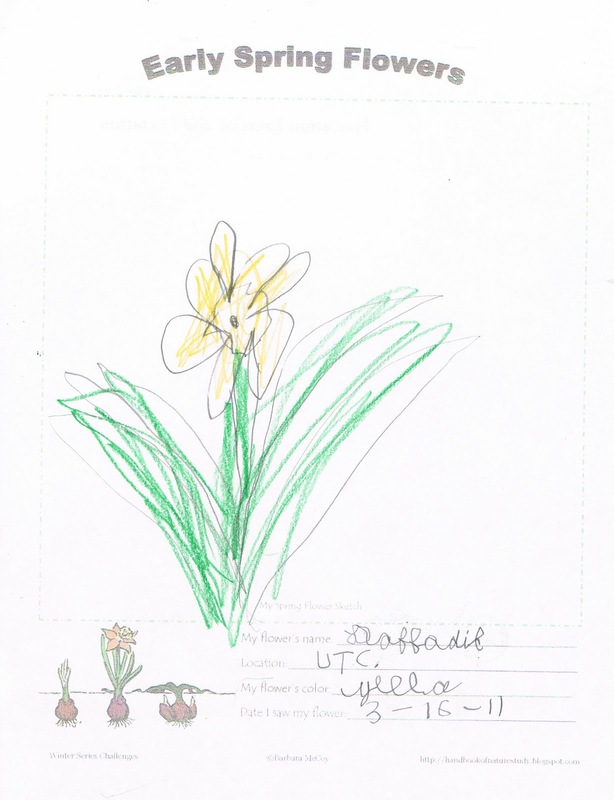 We chose daffodils, since that is the only bulb flower blooming right now. We actually don't even have crocus' since we are so far south. The tulips will bloom in a few weeks. Here are my entries for the day. 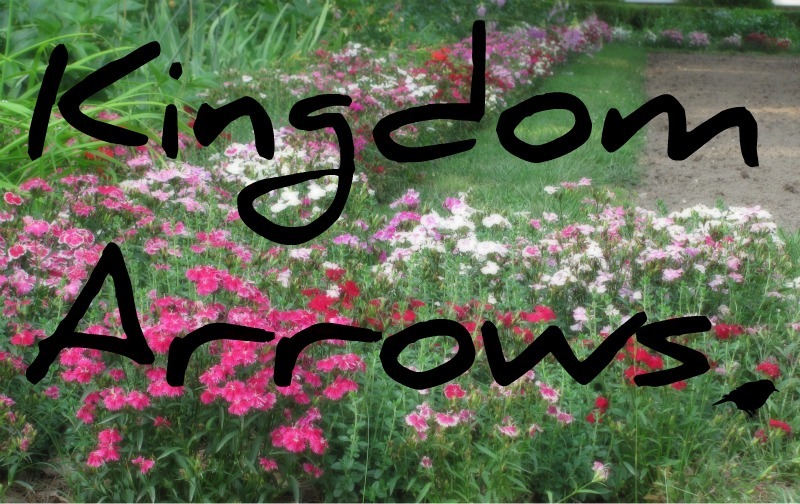 Now, I would like to point out that this goes with Lesson 2 of Drawing with Children, since we are to be practicing drawing flowers, starting in the middle of the flower. It is wonderful when our curriculum overlaps! We start the Spring study over at Handbook of Nature Study, tomorrow and would love to have you join in! 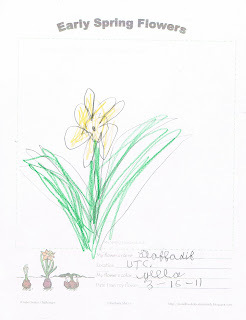 Something about your daffodil drawing makes me think that your drawing skills are improving already. Our daffodils, planted last fall, are not ready to bloom yet, but they are growing. Dad and Mom have crocuses that came with the house and still bloom every year. What wonderful journals you have this week! 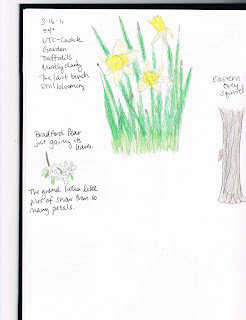 I think that daffodils are a perfect practice sketch for your DWC lessons. They are such a great shape and you can clearly see all the parts. Thank you so much for sharing your link with the OHC. Looking forward to more of your spring challenges soon.